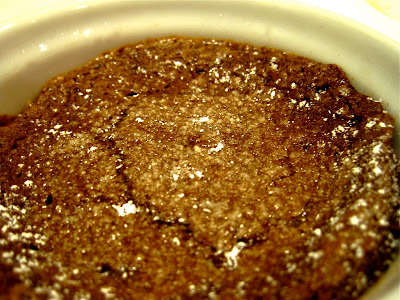 Molton Lava Cake (recipe link here). We used 6 tbsp butter instead of 1/2 cup as the recipe calls for (8 tbsp), and the consistency was still perfect. 1. Melt chocolate and butter in microwave, in thirty second intervals and stirring in between until it is completely melted and mixed. 3. Add chocolate mixture into the eggs. Add flour and mix until incorporated. 4. Put cupcake liners in a cupcake pan. 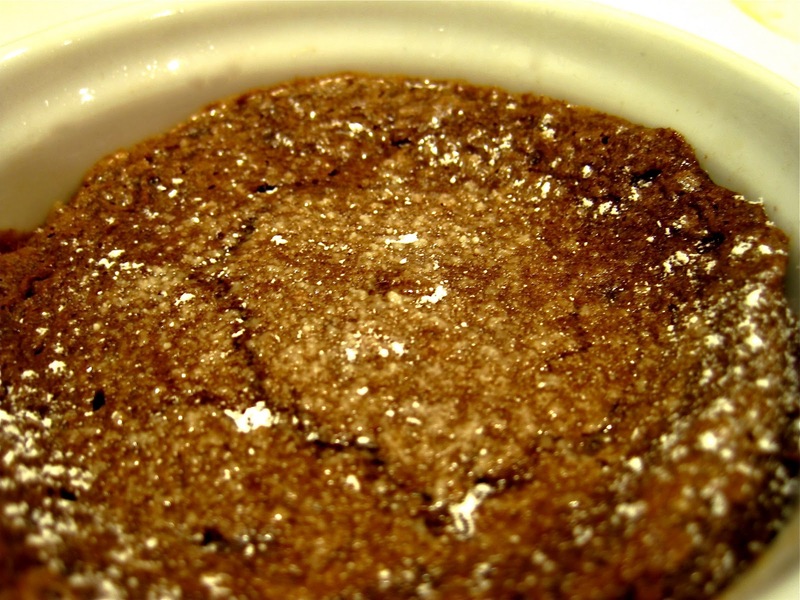 Pour batter into cupcake liners. 5. Bake in a pre-heated oven at 350 degrees for about 10-12 minutes. Serve warm. 1. Heat raspberries and sugar in a medium sized bowl for 2-3 minutes in microwave. 2. 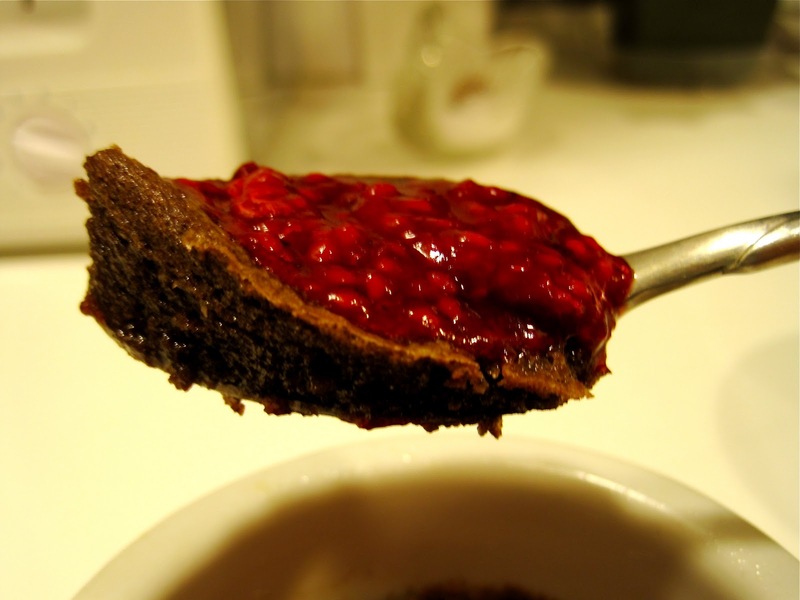 Squeeze lemon juice into raspberry mixture and mash together with a fork to achieve desired consistency. Fair trade products are an important part of social sustainability. Buying fair trade chocolate concentrates the value of the product in the hands of the producers rather than the corporation. In a typical free trade chocolate bar, only 3-9% of the value of the chocolate bar winds up in the hands for the farmer. In contrast, 36.8% goes to overheads and other ingredients, 34.1% to the supermarket, 14.8% to tax and 10.4% to the brand. Fair trade certified products guarantee a democratically determined minimum floor price, standards for labor conditions, direct trade, community development, and environmental sustainability (no agrochemicals or GMO's). Popular fair trade chocolate brands include Green & Black, Endangered Species (which donates 10% of its profits to support at-risk species and habitats), and select Dagoba bars. "Fair Trade Certification Overview." Fair Trade USA. Fair Trade USA. Web. 23 Jan. 2011. <http://www.transfairusa.org>. "The Facts: Fair Trade." The Internationalist 322. The Internationalist Magazine, Apr. 2000. Web. 23 Jan. 2011. <http://www.newint.org/features/2000/04/05/facts/>.